During decades and centuries of urbanization, the best available ground for construction has often been populated or otherwise utilized already. Softer ground conditions require a stabilizing technique before construction. The technique is to drill casing tubes through the overburden to the solid bedrock and fill them with concrete. 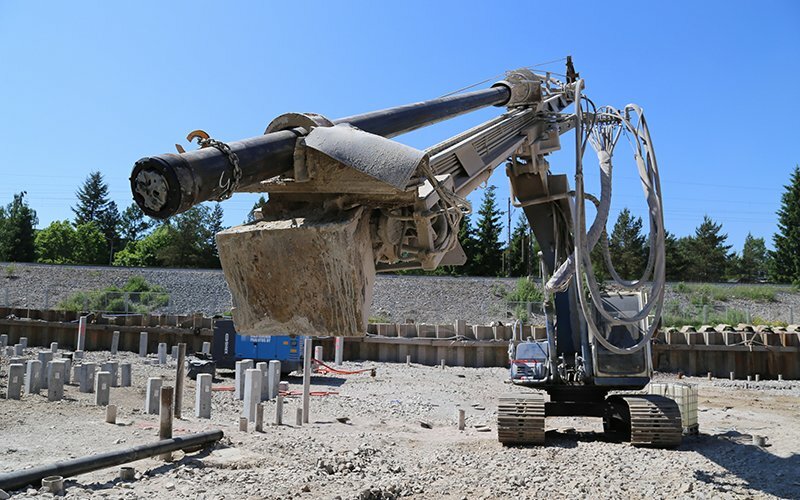 Drilled piles made with Robit® Casing Systems have significant advantage compared with other piling methods and systems: Fast drilling with maximum straightness of the hole, reliability to reach the targeted depth, and extreme simplicity to use. Robit® Casing Systems mostly used in piling are DTH-RoX+ for permanent casing and DTH-RoX MU for temporary casing.